Stress Release Tea » Herbal Healing Inc. 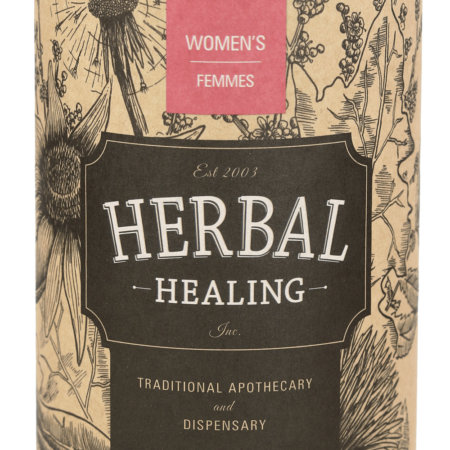 Traditionally used in Western Herbalism as a nervine tonic and calmative to help alleviate stress and nervousness. Infuse 1 teaspoon (2 g) in 250 ml boiling water for 10-15 minutes. Take 1-3 times daily. Honey or lemon may be added. *Chamomile (Matricaria recutita), *Oat Straw (Avena sativa), *Passion Flower (Passiflora incarnata), *Skullcap (Scutellaria lateriflora), *Plantain (Plantago major), *Ginger (Zingiber officinale), *Valerian (Valeriana officinalis), *Linden (Tilia cordata). Caution & Warnings: Consult a health care practitioner if symptoms persist or worsen. Consult a health care practitioner prior to use if have cardiac disorder, peptic ulceration or other gastric diseases, if taking any pharmaceutical drugs or if experience severe drowsiness and/or withdrawal symptoms upon abrupt discontinuation. Contra-Indications: Do not use if pregnant, breastfeeding, in the presence of gallstones, gluten intolerance or have allergy to Asteracae/Compositae family.